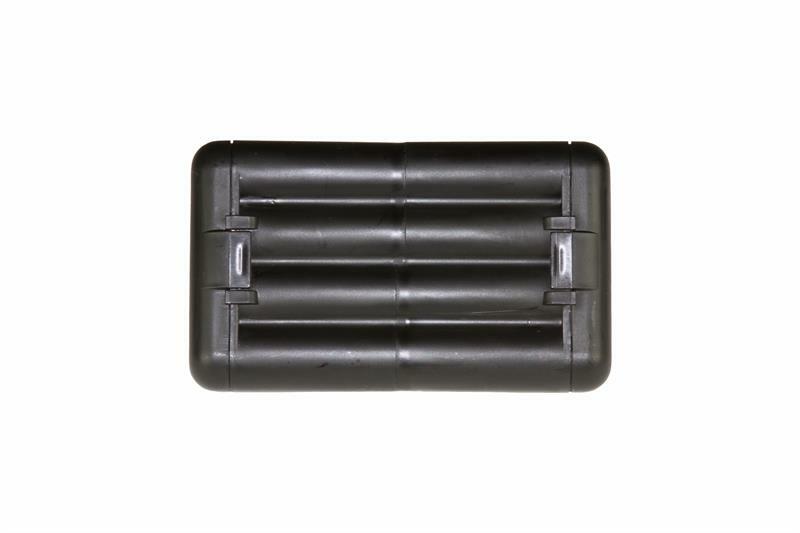 The latest innovative smart design of Battery Cases and holders. 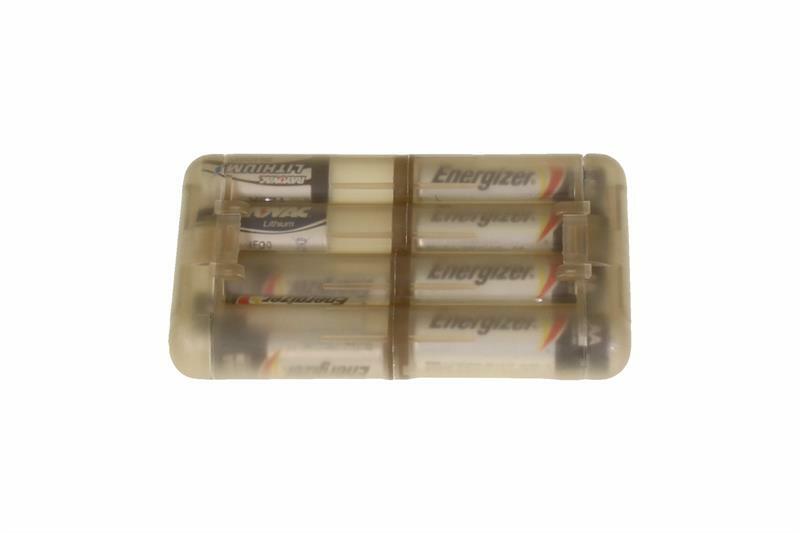 • Holds up to 8 AA Batteries, or 12 AAA Batteries, or 8 CR2, or 8 CR123 batteries. • Lightweight colored coded cases slide apart to create a system. 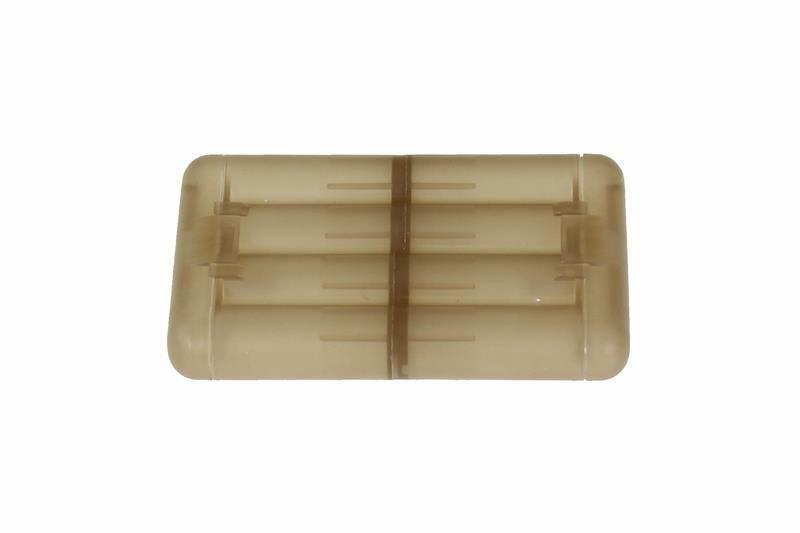 The system and wells separate the batteries from contact and allow you to carry your spent or (dead) batteries on one side, (live) batteries on the other side. 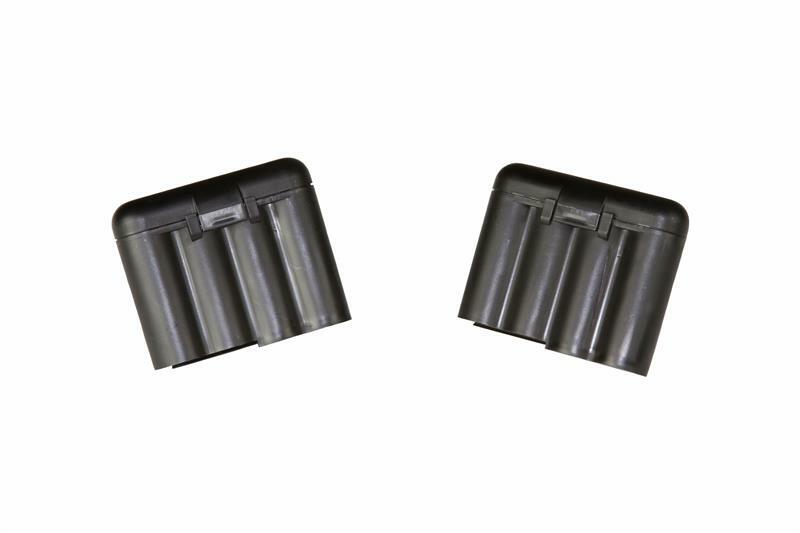 For this option choose the 2 color Coyote/ Black set. • BATUCA -® is no bigger than a shirt pocket, so it allows you to store it in a zippered pocket, small GP pouch, pocket of your combat pants or on our 6x8 Insert, Kydex, etc. Size (approx. ): 4.5" x 2.73"